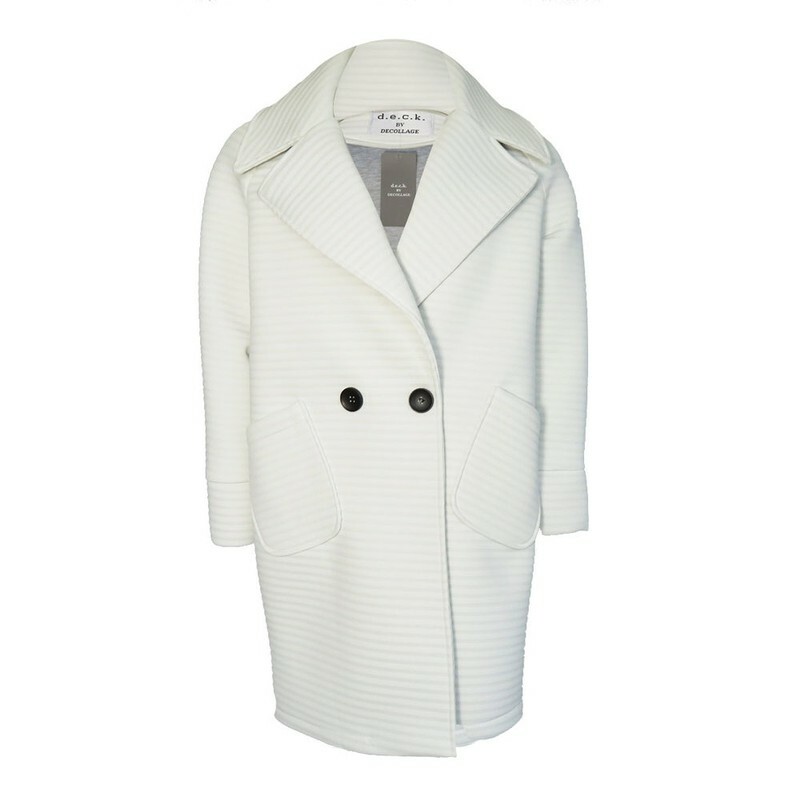 Textured Stripe Zoe coat from Deck is a scuba fabric lined coat. It has a collar, 2 deep pockets and 1 button fastening. Oversized fit you may want to try a size smaller than your usual size.